Artefact digitisation unit - for your Anzac! The wonderful people from the Auckland War Memorial Museum delivered an Artefact Digitisation Unit (ADU) to the Central Auckland Research Centre. A what? I hear you say . . . . It is an awesome piece of technology that looks kind of like an ATM machine - a kiosk with a computer, touchscreen monitor and a camera. With its connectivity to the internet, it has direct access to the new Online Cenotaph. 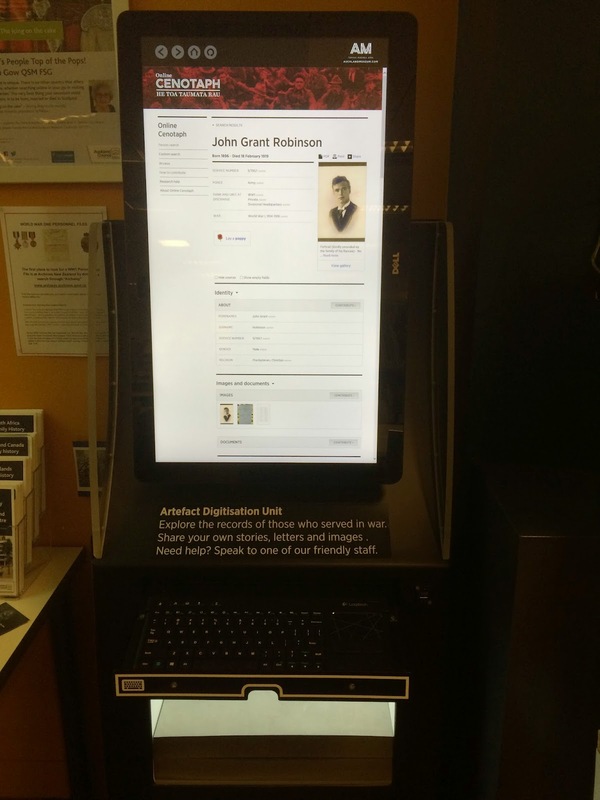 People can use the ADU to search the Online Cenotaph direct from the Research Centre, and contribute information about the person they are researching - this includes the ability to photograph documents and objects to upload to a subjects record. The Online Cenotaph itself has been completed re-designed and had been re-launched in January. digitising of the Mickle Album, including the 60 photographs of friends from Birkenhead who volunteered and left New Zealand to fight in WWI. No. 2 Field Company. Killed in action in France on 15 November 1916. Sir George Grey Special Collections, Auckland Libraries, 31-R984. 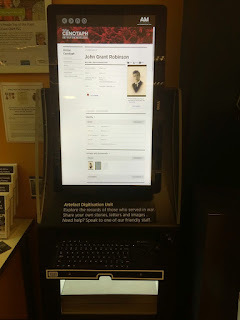 One of the biggest improvements is that family and researchers are encouraged to add content or images to the records of service personnel, which can be done on your own computer - or on the ADU available at the Central Auckland Research Centre and other destinations around the Auckland region. Read more about the ADU on an earlier blog post.